The abbreviation ‘IBC’ can stand for either International Business Company or International Business Corporation, and is one of the most popular types of offshore corporation. Most companies looking to offshore utilize an IBC in order to mitigate tax burdens imposed by their country of residence, achieve financial confidentiality, protect and secure assets, and seek exemptions from financial reporting requirements. Two immensely popular offshore destinations for IBCs are Panama and Belize. Both are globally known for their business-friendly environment and attractive tax frameworks. Learn the advantages and disadvantages for both countries to help you decide where to incorporate your business using an IBC. Why offshore business with an International Business Company (IBC)? IBCs are legal entities registered in a tax-neutral setting – that is, they are not liable to taxation, or are taxed minimally under the law of the jurisdiction of the offshore destination. This is provided that the company’s revenue does not stem from local sources, meaning that an IBC is usually not allowed to conduct business in the refines of that jurisdiction. IBCs are mostly used by companies to bypass international trade limitations, such as sanctions and embargoes, to achieve limitless international transaction, to conduct international trade and for foreign investment activities. Essentially, an IBC can help a business with the right requirements capitalize on the laws at the offshore destination that might not be present in the country of residence. Because of the protective qualities of an IBC, directors’ and shareholders’ personal assets are protected from things such as malpractice suits. Furthermore, companies with a high degree of litigious activity are advised to establish an international structure in order to mitigate the risks of foreign holdings. Panama is globally known for its attractive business environment, with over 500,000 registered IBCs. Panama is well-known for its attractive business environment, having registered over 500,000 IBCs since its establishment in 1927. Panama has developed into an international center for trade and finance. This is due to its strategic geographical location connecting North and South America, free trade zones, low tariffs, open business environment, and access to the Panama Canal. Panama’s economy is robust and ever-growing, with an expanding GDP of 8.4% between 2004 and 2013 and an expected growth of 5% in 2019. Unlike many other countries in the Americas, Panamanians are obliged to vote, resulting in a stable and democratically elected government. All these factors make it especially attractive for foreign investors and companies looking to offshore their company. Regardless, there are some key pros and cons to consider when establishing an IBC or a Panama Corporation (Sociedad Anónima). 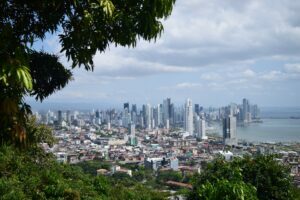 No taxes: Panama has a territory-based tax system, meaning that they do not levy an income tax on income that is earned outside of the Republic. Furthermore, if the business conducts its business in countries outside of Panama, it is exempt from capital gain tax, dividend tax, and stamp duty on transfer of corporate shares and other property. Low entry requirements: In order to register as an IBC, you only need one shareholder issued a share of $100 US minimum and annual renewal fees are as low as $300 USD, besides the registered agent fee. Low time investment: It is not necessary for shareholders to provide an annual auditor account reporting, attend an annual meeting or even to reside in Panama. Minimized exchange risk: Panama uses the US dollar as its currency since its independence in 1903, minimizing the exchange risk and making investments especially interesting for companies residing in the United States. High level of privacy protection: All non-US foreigners doing business according to the law in Panama receive a high level of privacy protection. Unlike many other countries, it does not list the names of shareholders or owners in the public records. To take it one step further, corporations can issue bearer shares to protect the identity of their shareholders even better. Furthermore, bank employers are not allowed to disclose any type of information of bank account holders as this is seen as a criminal offense. Robust global banking region: Several local and international banks are situated in Panama with the banks averaging an impressive 60% liquidity – that is, 60% of all deposits can be withdrawn before any bank assets will be liquidated. To illustrate, only Singapore and Hong Kong can match this astounding high number. Many global trade agreements: Panama’s many trade agreements, such as that with the United States since 2012 and the European Union in 2013 boost foreign investments and trade flows. Fast incorporation: Incorporation takes up to 5 business days after receiving all required documents, and as fast as one day with an additional $250 USD. English speaking locals: Incorporating a company in Latin America comes with some local challenges, such as local language and culture. Panama is known for its bilingualism, facilitating the business and incorporation processes. Bearer shares requirements: Following a new law established in 2013, bearer shares can only be held by certain authorized custodians; a bank, an attorney, a brokerage firm, or a fiduciary on behalf of the actual owner. Three directors: One of the requirements is to have three directors which can be corporations or individuals of any nationality. Panamanian IBC’s are obliged to appoint three officers (a president, secretary, and treasurer) who may also act as presidents. Licensing requirements: For some activities, special licenses must be obtained, such as for banking, insurance, fund management, and building societies. Businesses looking to offshore in Belize should take recent legislative changes into account. 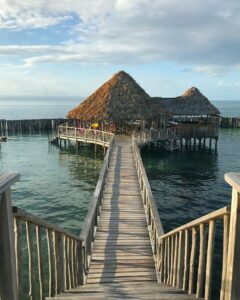 Belize is a Commonwealth country located on the Caribbean coast in Middle-America bordering Mexico in the north and Guatemala in the South-West. the nation is known for its astonishing nature. Originally a colony of Great Britain but having achieved independence since 1981, Belize inherited the English language, English Common Law, and stable politics. Most of Belize’s wealth derives from tourism and the export of commodities such as fruits. With an estimated GDP growth rate of 1.7% by 2020, Belize’s economy can be considered stable for its region. However, due to elevated public debt and a wide account deficit, Belize remains vulnerable to economic shocks. Belize is globally known for its minimal regulatory restrictions and unobtrusive bureaucracy, resulting in a growing financial offshore sector. Foreign business looking to incorporate their company in Belize must note that all companies established on and after 1 January 2019 and after are subject to changes to the International Business Company Act of Belize. These changes are considered more restrictive than previously for companies with a physical presence in Belize. The new legislation differentiates between companies with a physical presence and those without. We will look at the pros and cons of incorporating your business in Belize after 1 January 2019. Certain tax exemptions: Companies without a physical presence in Belize are exempt from both income and business taxes, given that their income is sourced outside of Belize. All companies are exempt from tax on dividends and interest. Stamp duty is only necessary when the respective IBC owns property in Belize other than shares in another IBC. Minimized exchange risk: Just like Panama, Belize conducts business using the US dollar, which minimizes the exchange risks. However, local business has to be carried out in Belize dollars. High level of privacy protection: Also similar to Panama, all companies’ directors and shareholders names don’t have to be publically stated, and there is the possibility to issue bearer shares. Fast incorporation: Incorporation can be as fast as one day. Low entry requirements: Unlike IBC regulations in Panama, Belize only requires one director, which can be either a corporation or a resident in any country. Furthermore, government fees are only $100 USD dollars. English as the official language: Due to its colonial history, the official language in Belize is English, making it far easier to do business compared to other Latin-American countries. Paying tax: Companies with a physical presence in Belize will have to pay both income and business tax, which can be as high 25% and 19% respectively. Filing requirements: All companies with a physical presence are required to file an annual tax return and pay monthly business tax. Companies without a physical presence need to file an annual tax return if the income is sourced in Belize, otherwise filing is optional. This complicates processes for companies conducting business using an International Financial Services Commission (IFCS) license, as a physical presence is mandatory for them. Accounting records: The commissioner of Income Tax may require an audit of annual receipts if these equal at least 6 million USD for both companies with and without physical presence. The public cannot access these accounting records. Certificate of good standing requires tax compliance: Since the January 2019 amendments, all new companies have to provide a certificate of good standing with tax compliance. 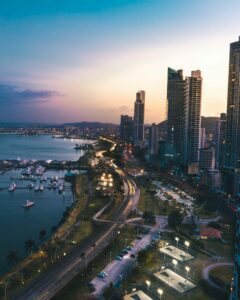 Panama’s business environment is friendlier than that of Belize following the new amendments in 2019. Which country should I establish my IBC in? Both countries provide their own advantages and disadvantages. However, one can see that the new amendments to the Belize IBC act result in less favorable conditions for many foreign companies looking to offshore. Generally speaking, Panama’s business environment could be considered friendlier than that of Belize in several regards, especially for those companies needing to establish a physical presence in the country. Companies looking to incorporate using an IBC are advised to take all factors into account before registering their IBC in the respective country and choosing the one that suits their needs best. Both Belize and Panama offer specific advantages for setting up offshore business. It can be difficult to decide which is best suited for your company and intended activities. At Biz Latin Hub, our experienced team of professionals provides expert guidance on market entry and back office processes across Latin America. Get in contact with one of our Country Managers at [email protected] for personalized assistance. We want to ensure your every success in your commercial activities. Check out our short video below summarizing the advantages of creating an offshore company in Panama and Belize.